Well folks – the time is just about on us. Only a few days until we converge on the MSU campus for Great Lakes THATCamp. In preparation, I wanted to say a few words about scheduling. Check-in will start at 8am (though, we’ll be there earlier if you are wanting to come in earlier). There will be food (bagels, muffins, danishes, fresh fruit) and drink (coffee, tea, juice) for all attendees. The check in table will be located just outside the LookOut Gallery on the second floor of the Residential College of Arts & Humanities. The layout of the building can be a tad confusing, so there will be signs spread out all over the place with directions as to where you need to go. 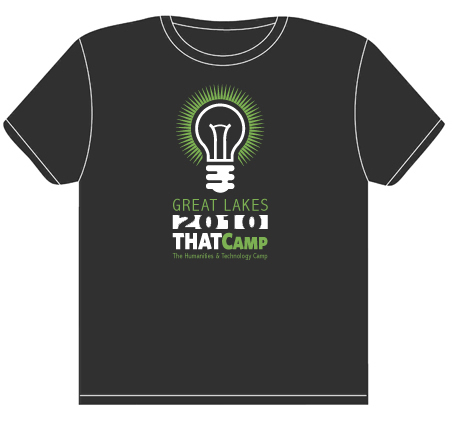 Great Lakes THATCamp carries a suggested $25 registration fee – which helps pay for the meals, t-shirts, and other fun swag attendees will be receiving. There are several ways that campers can pay their registration fee. The easiest is by cash or cheque when you check in on Saturday morning – frankly, that is what we prefer. Cheques should be made out to Michigan State University. If you prefer to pay electronically, things are a little more complicated. You’ll need to use Michigan State University’s online donation system. Applications are now closed for Great Lakes THATCamp. Thanks to everyone who submitted and application. We will be reviewing all applications and sending out acceptance emails ASAP.